Guyana has filed more cases with the Caribbean Court of Justice than any other country between 2017 and 2018. 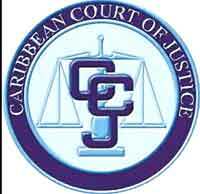 In its most recent annual report, the Caribbean Court of Justice (CCJ) says it has recorded a 32 percent increase in the number of matters being filed compared to the previous year. For the judicial year, 2017 to 2018, Guyana filed 17 cases with the Trinidad-based CCJ. This is in comparison with two cases filed from Dominica, six from Belize and seven from Barbados. These represent matters that were filed in the court’s appellate jurisdiction. The report said that civil applications and appeals represented the clear majority (88%) of the new matters, while the number of appeals filed in this year more than doubled the number filed in the previous judicial year (2016-2017). Of the 32 matters filed by the four member countries, there were 19 Notices of Appeal and 13 applications for special leave. According to the report, as part of the CCJ’s efforts to efficiently deal with cases, four of the thirteen Applications for Special Leave to Appeal that were filed in the year under review were treated as the substantive hearing of the appeal. This meant that the parties were not required to file a separate Notice of Appeal, but filed one set of submissions for the hearing of the Application for Special Leave and the Hearing of Appeal. “In the 2017 to 2018 court year, 43% of cases were disposed within six months of filing, while 76.6 percent of cases were disposed within one year of filing. During the period under review, the clearance rate for matters filed reflect a rate of 96 percent for disposed matters against new matters. This reflects a 20 percent increase in the clearance rate above the last judicial year’s figure. As at 31st July 2018, there were eleven pending matters before the Court for the period of three to nine months,” the report added.